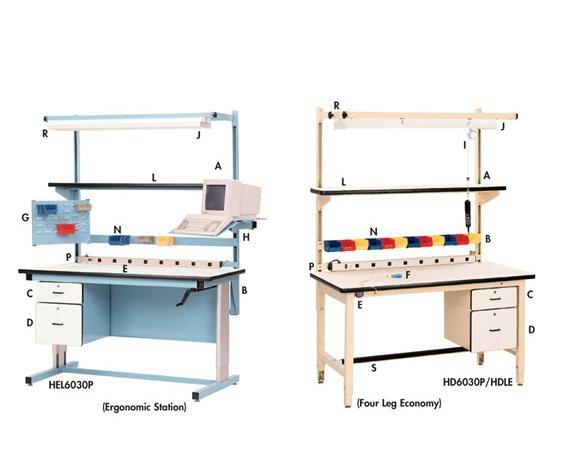 For use with Ergonomic Work Stations and Electric Height Adjustable Workbenches. Efficient ergonomic accessories move vertically with the work surface. Accessory supports have infinite adjustability. Air quick disconnect places shop air at surface. Modular drawers have smooth rounded corners. ESD ground kit and wrist strap protects ESD sensitive components in a range of 106 and 109. Articulating bin arm extends up to 23.5" from upright. Articulating monitor arm extends up to 27.5" from upright. 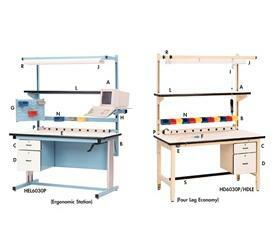 Tool balancer and trolley helps reduce fatigue and increases work surface organization. Overhead lights reduce eye strain. FOB Shipping Point. 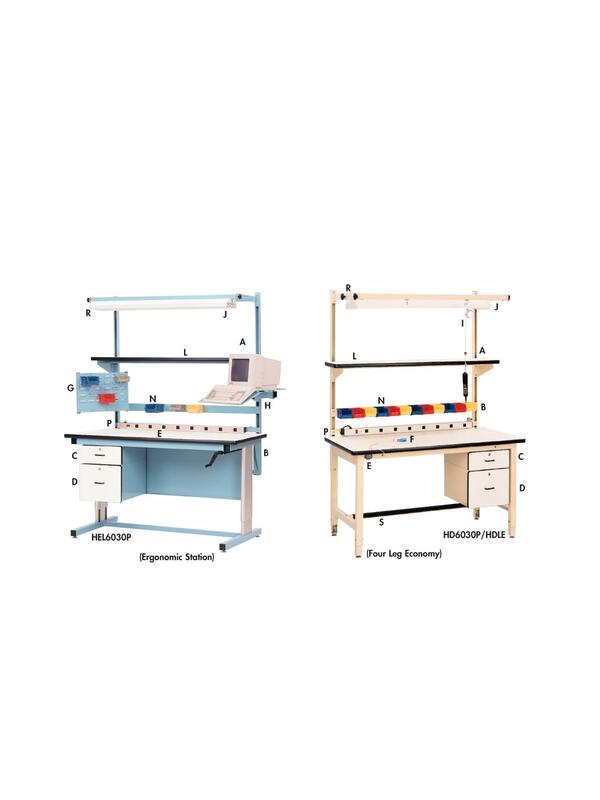 See Related Items tab for Ergonomic Work Stations and Electric Height Adjustable Workbenches.